Three soldiers and 123 Boko Haram militants were killed when the militant group attacked a Chadian army contingent in northern Cameroon, the Chadian military said Friday (Jan 30). Twelve soldiers were wounded in the attacks staged by the militant group on Thursday and Friday near the border town of Fotokol, according to a military statement read out on national television. Chad sent a convoy of troops and military vehicles into neighbouring Cameroon on Jan 17 to deal with the growing threat Boko Haram poses in the region. “The enemy was repelled by our defensive forces,” the general staff’s statement said, adding that the troops had “routed” the militants in the second attack. The soldiers were killed by improvised explosive devices, the statement said. A senior Cameroonian security source said the Chadian troops were deployed to the town, which sits opposite a Nigerian town under Boko Haram control and is also close to the border with Chad, on Wednesday. Boko Haram frequently stages attacks on Fotokol from their base in the Nigerian town of Gamboru, which is just 500m away. Chad has called on countries in the region to form a broad coalition in the fight against Boko Haram. 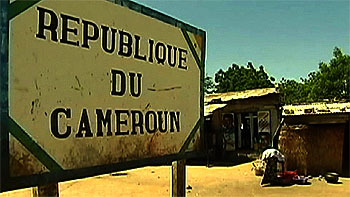 The country has already deployed its army along its borders as well as sending the additional contingent to Cameroon. Chad’s President Idriss Deby has also expressed intentions of taking back the strategic Nigerian town of Baga from Boko Haram, situated on Lake Chad. The African Union called Friday for a regional five-nation force of 7,500 troops to defeat the “horrendous” rise of Boko Haram. The group’s uprising has become a regional crisis, with the four directly affected countries – Cameroon, Chad, Niger and Nigeria – agreeing along with Benin to boost cooperation to contain the threat and to form a Multinational Joint Task Force. More than 13,000 people have been killed and more than one million made homeless by Boko Haram violence since 2009.